Oakbank School in Reading are a Free Secondary School that were established through the vision, commitment and passion of the West of Wokingham Parent Group. 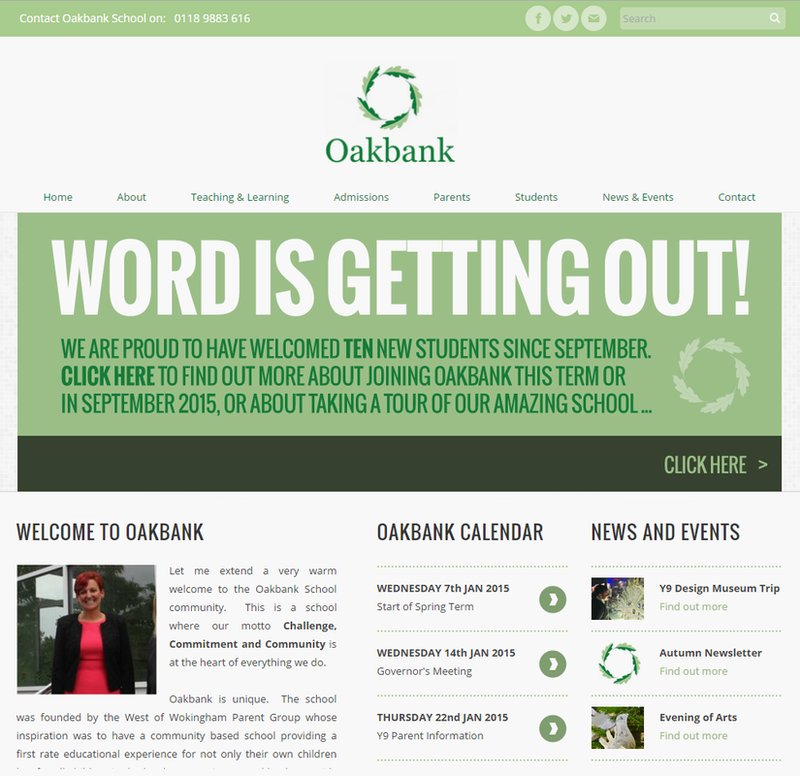 Oakbank School in Berkshire approached Venture for a new design for their website going forward. Due to staffing commitments, Oakbank were unable to manage their website with updates and asked Venture to manage the project and new sections were added to outline different areas of the school.